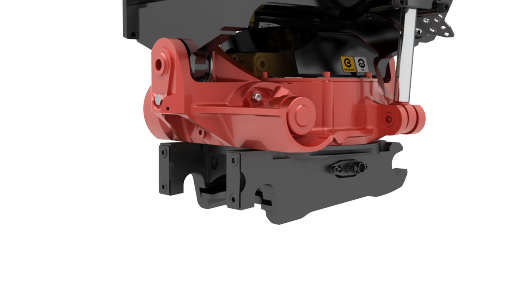 This is the standard Rototilt coupler. 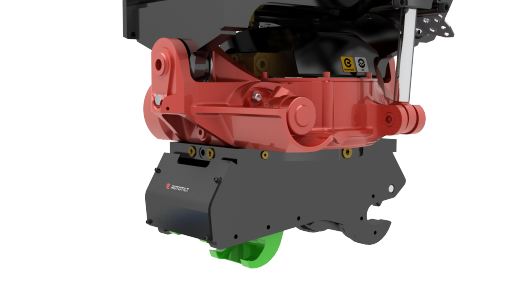 It is a very compact design which minimizes the overall height and is quickly becoming the standard coupler for tiltrotators around the world. Available on the Rototilt R4, R6, and R8 tiltrotator models. Allows the use of standard North American OEM buckets. 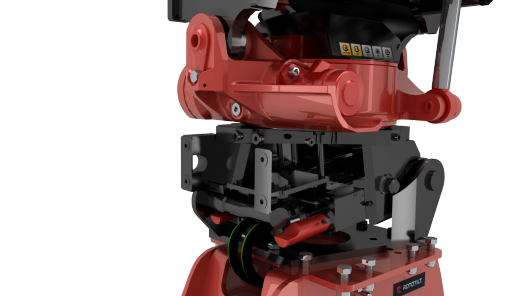 Available on the R3, R4, R6, and R8 tiltrotator models. 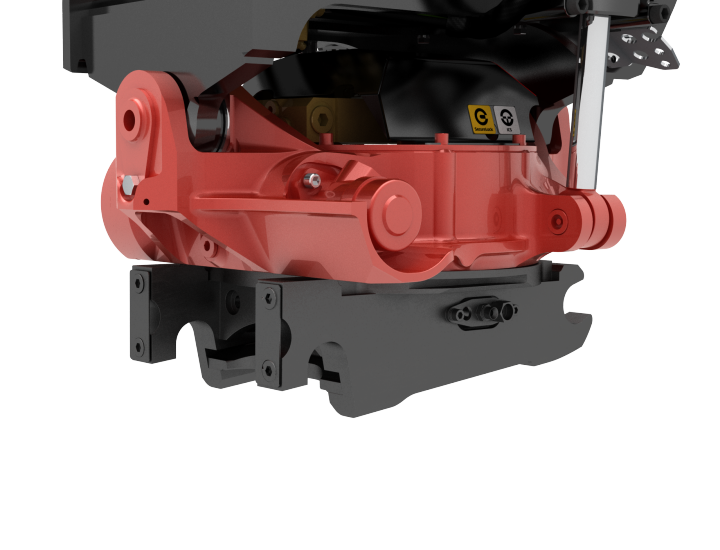 This eliminates the need for connecting the hydraulic hoses to a Grapple, Compactor, or other hydraulic tool. Contact Rototilt for more details.